Oops, I did it again. Keeping up a blog when I’m bogged down with school work galore really is a challenge. One of my resolutions this year was to make the dreams that I have a reality. Currently, I’m trying to figure out minors and internships, that will make those dreams of travel and fulfilled wanderlust more attainable in the upcoming months, so please excuse my absence from writing all the little things I’ve been doing. A little recap of life in the Pacific Northwest: we’ve had some rain (and by some, I mean most days), trekked out of Seattle to see a waterfall with a friend, my mom visited for the weekend and finally I’ve been hit hard with the flu in the last week. So life has been going on, but there’s been very little time for an update. Instead of writing a day to day recap, here’s a few snapshots of life for the time I’ve been gone. 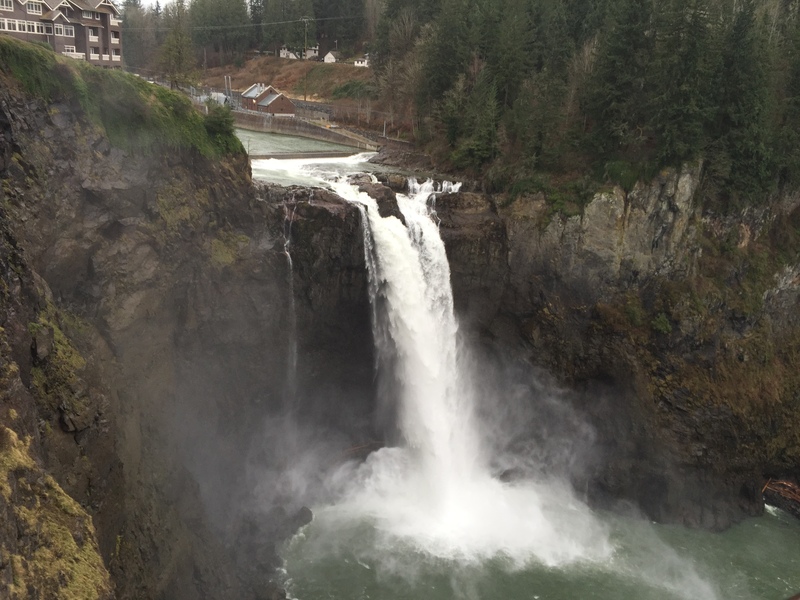 A wintery Saturday morning drive to Snoqualmie Falls, expecting a hike and finding this view only a 5 minute walk from the parking lot. 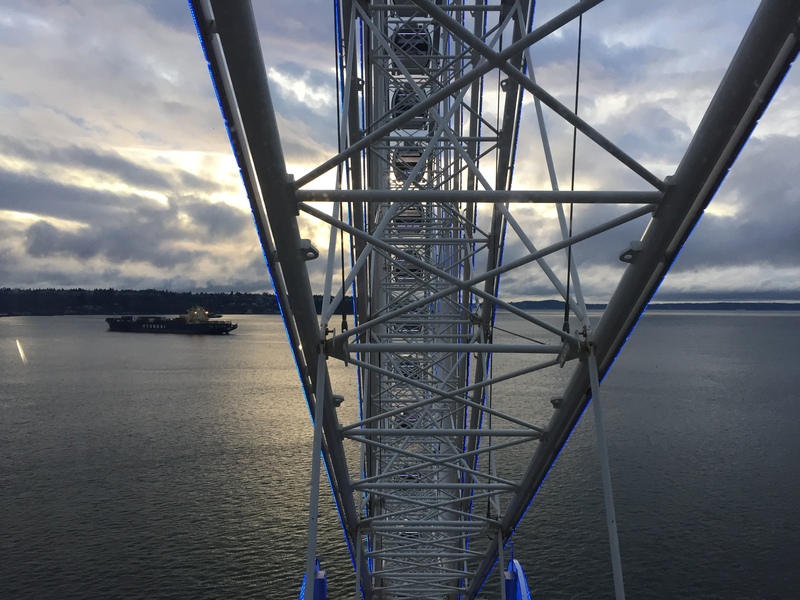 Stunning sights of Seattle’s harbor from the Great Wheel – never thought I’d get my mom up on a ferris wheel on her own will! All smiles when my mom comes to visit this rainy city. 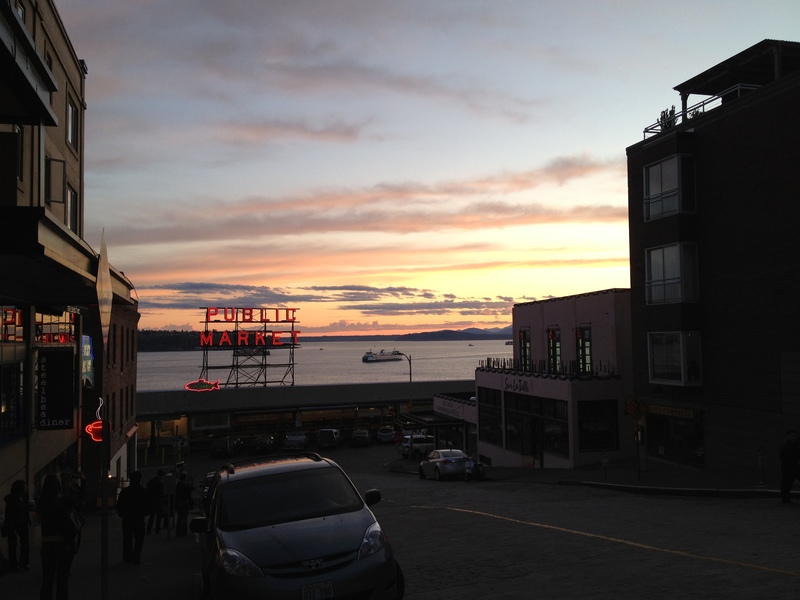 Downtown Seattle at dusk, getting ready to shine during the night. A beautiful sunset to end the weekend with my mom, found at Kerry Park in Queen Anne. 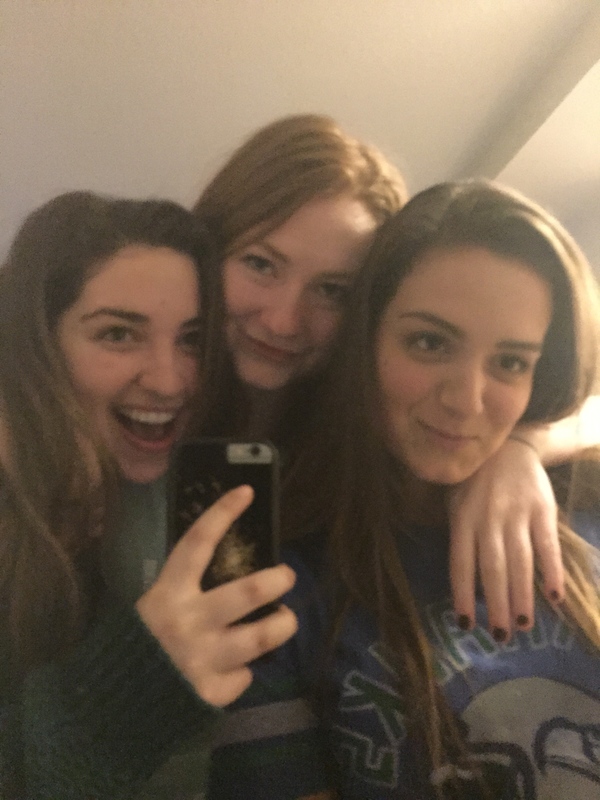 Photos of the three roommates usually end up like this amongst the giggling and falling. 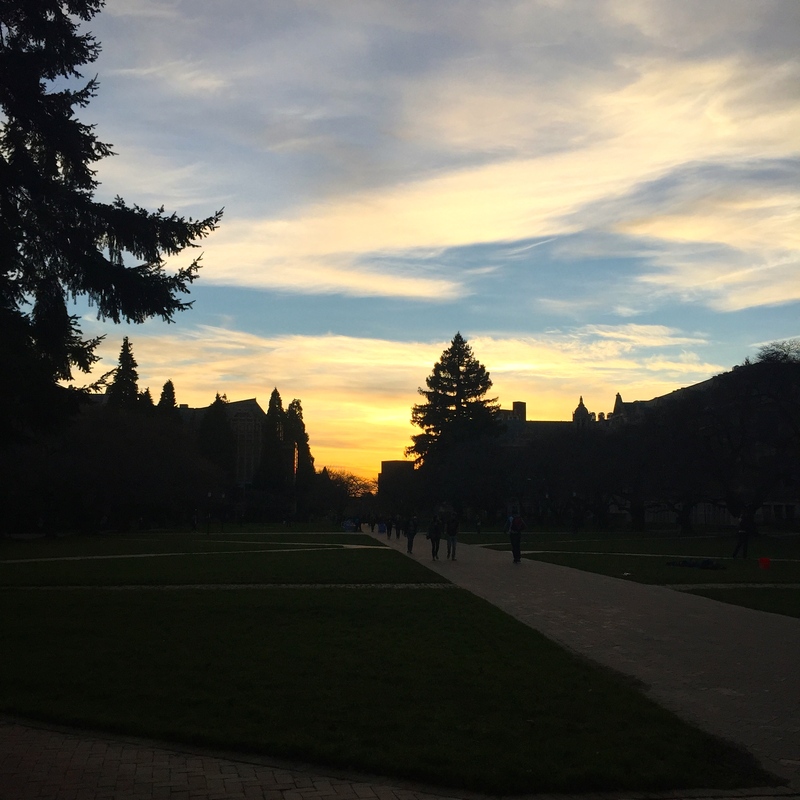 Another amazing Seattle sunset on campus, keeping my California spirits happy. Writing is very cathartic for me, so these little entries give me time to reflect on all that is good in my life and knock me out of whatever funk I’ve gotten myself into. Hopefully I’ll have a little bit more of a schedule with updating, but in the mean time, I hope that everyone’s Februarys are happy and healthy! Until next time, catch me on instagram. You know you’ve gained something from an experience when it’s almost unbearable to see it end. Living in London was very surreal – I’d visited England for the first time in 2007 and knew that one day I wanted to come back and live more permanently. 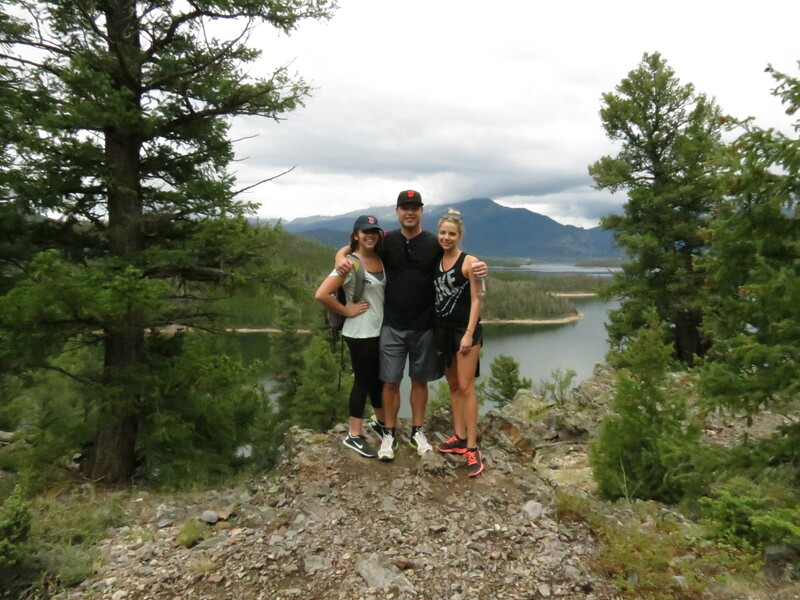 Even after living there for 3 months, I have still have the desire to move back on a more permanent basis. London is part of the greatest adventure of my life so far, but the wonderful people I met while there really made this experience one I’ll never forget. I can’t thank the girls of Flat 23 & 24 enough for all the hospitality and making London a second home for me. Nikita, Izzy, Chloe, Rebecca, Hannah, Maddie, Lydia, Cory, Cecilia & Jess – you’ll always be a part of my little London family and hopefully we will make many more memories in the future together! 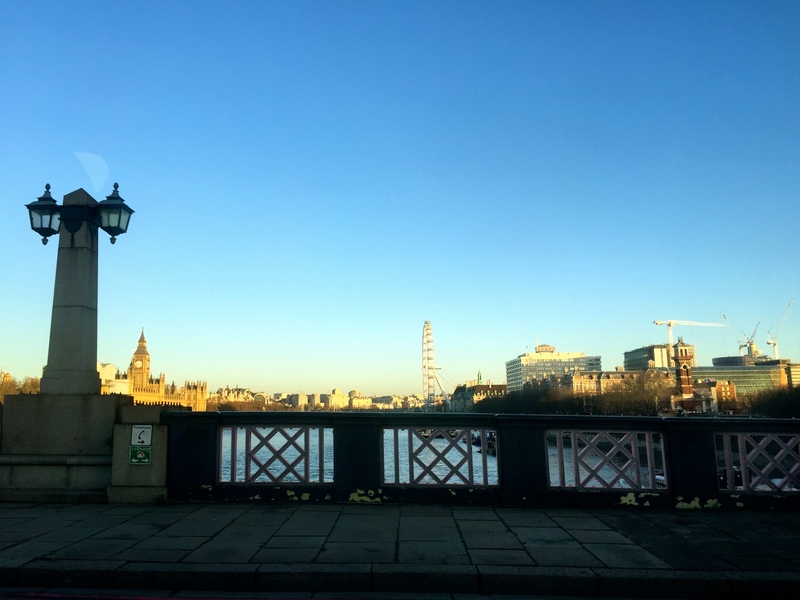 When I first found out I was accepted to King’s College London, I was so incredibly excited that my dream of living in London was coming true. 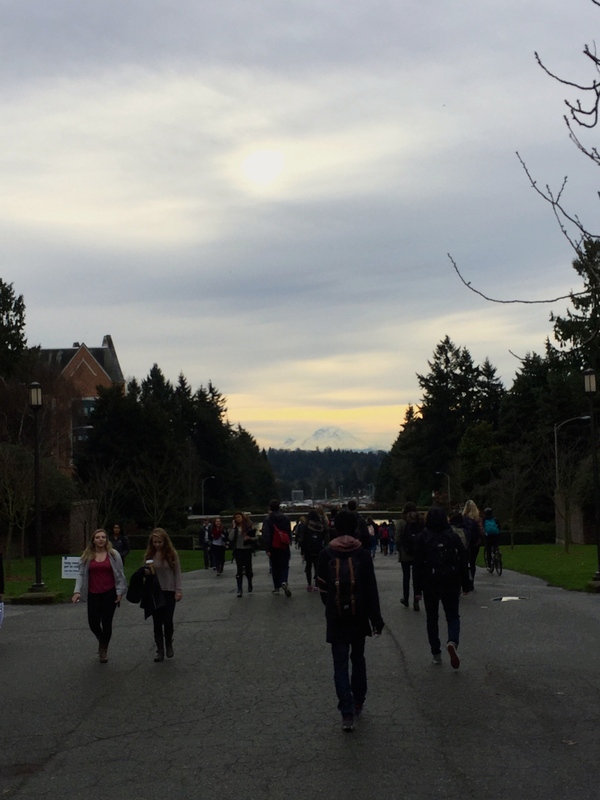 During my orientation at University of Washington, there was one thing that really intrigued me. The counselors reminded us that moving 5000 miles away from home doesn’t come easy – that there will be a period of uncomfort with the new culture, potential homesickness, finding stability in your new city, and uncomfort for the first few days back in the states. Personally, I only felt a little homesick around the fifth week, when I was sick with a nasty head cold (earned from endless weekends of travel), but I credit the girls of my flat for truly making London a second home for me. I think that’s why a week after coming back to California, I’m still longing for the small rooms and loud neighbors – because those girls are a part of something that’s over for now. With my bags on the curb of Stamford Street and my flatmates waiting with me (even though it was 8 AM), I tried with everything in me to not cry as I hugged them one last time, because I knew that once the tears started, they wouldn’t dry for a while. As soon as the car door shut, the driver turned around to me and said “no tears yet?” and then the dams broke. 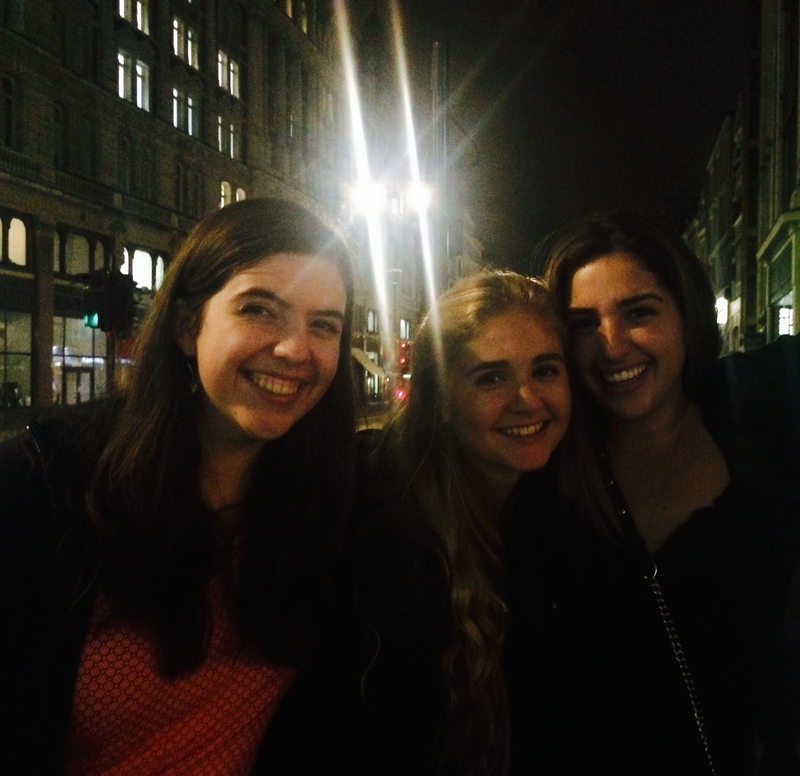 Happy tears that London had been everything I’d ever wanted from studying abroad – I think that the pain I felt when leaving, only meant that the adventure I’ve had was truly one for the books. With each adventure, you learn something. Over the past 3 months I’ve learned tremendous amounts about myself. I’ve understood that family is with you no matter how far you venture. I’ve learned that I am independent and enjoy adventures with no set plan – just a place in mind and a map in your back pocket (especially with no cell phone data when out of London!)! I’ve learned that trying to cross things off your bucket list only leads to adding more. I’ve learned that different perspectives in teaching (whether that be nationality or where it’s taught) can expand your mind in ways you didn’t know was possible. This list goes on and on, because honestly, London taught me more than any other experience I’ve had so far. For anyone considering venturing abroad for a semester, I highly recommend it. For anyone else, I suggest stepping outside your comfort zone and experiencing life while you’re vulnerable to new experiences – there really isn’t anything that beats it. 11 ½ hours flying, 3 hours driving and I’m back in my home surrounded my pets galore. 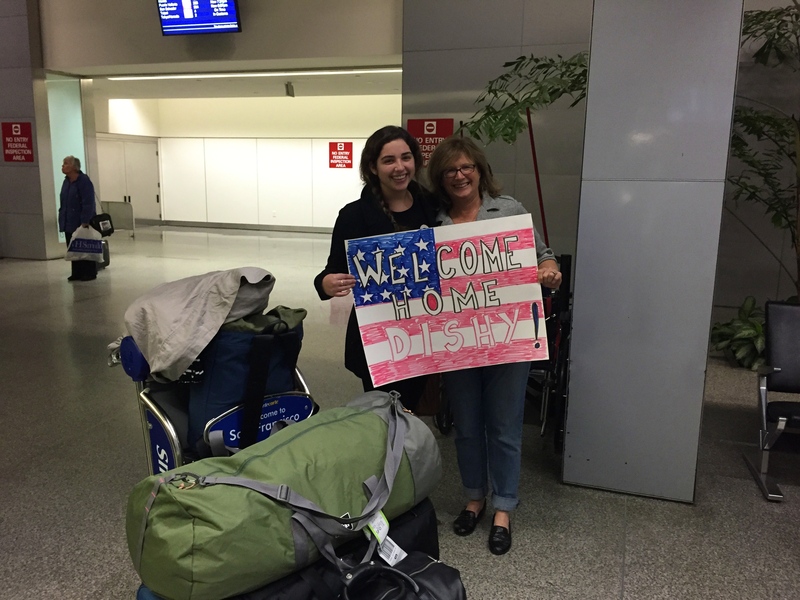 When I stepped off the plane and eventually got through customs, my Mom and Dad were waiting outside arrivals with a big welcome home sign and cheers that made my smile impossibly big. What a weird feeling it is to be back in California and have the holidays so close to being celebrated. The morning after I flew in, I woke up wondering if I’d ever even left – but the scattered clothing, bags of souvenirs and the fact that it was 2 AM (thank you, jet lag) reminded me of all the great adventures that I’d had. 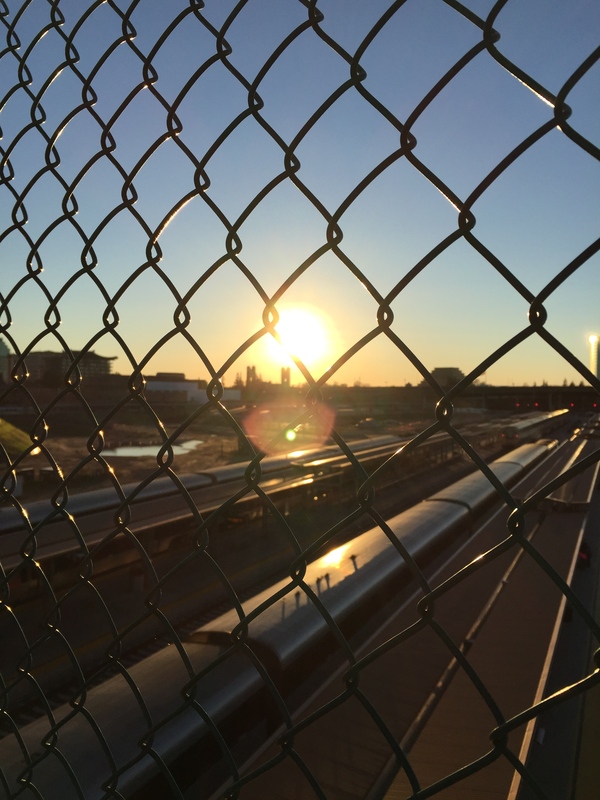 It’s hard to have it over, but exciting to see new opportunities to explore come together for the future! 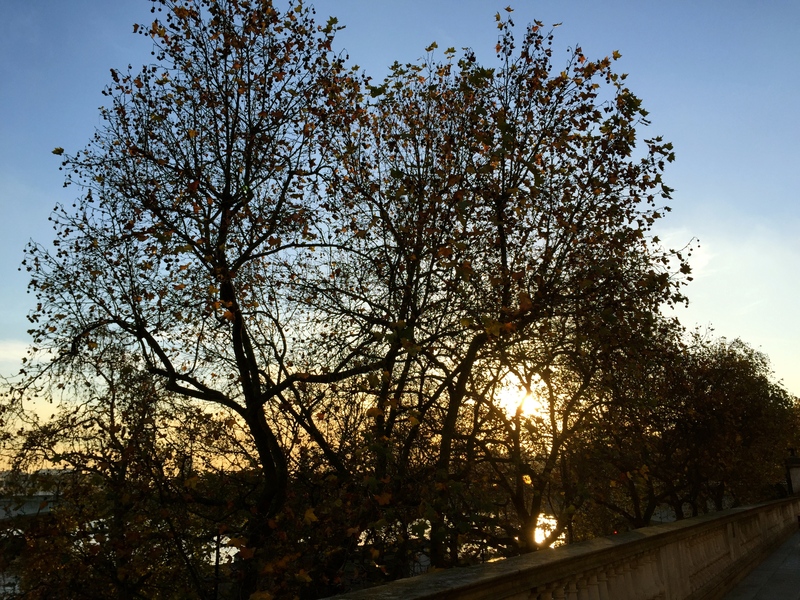 I promise there will be no more emotional London posts, because I know it can get a little boring for readers – but this has been on my mind this week and I thought writing it out would do me some good. I’m going to take a break from blogging for a few weeks, so I can enjoy the holidays and get everything organized for my trek back to Seattle and UW in early January. Until then, catch me here on instagram. I can assure you that I’ll be back with new recipes, adventures and stories very soon! I’ll end with a quote that aptly describes how my mind has been working the past few days – thank you for bearing with me through the my adventure blogs! Christmas time is finally here and let me tell you, London takes the holidays very seriously. From the end of October on, it seems like there’s been a new Christmas decoration up on a corner or more lights hung from the streets. I’m so used to having the Christmas season just in December – so this extremely long festive time has been an absolute treat! I’m always the kid in the house that stresses the importance of having our lights up the day after Thanksgiving along with the stockings on the fireplace and giant nutcracker in the hallway. I feel like my senses have been overloaded with time I’ve had to see Christmassy sights and I’m honestly completely okay with that. Just a 15 minute walk from my flat is Trafalgar Square. 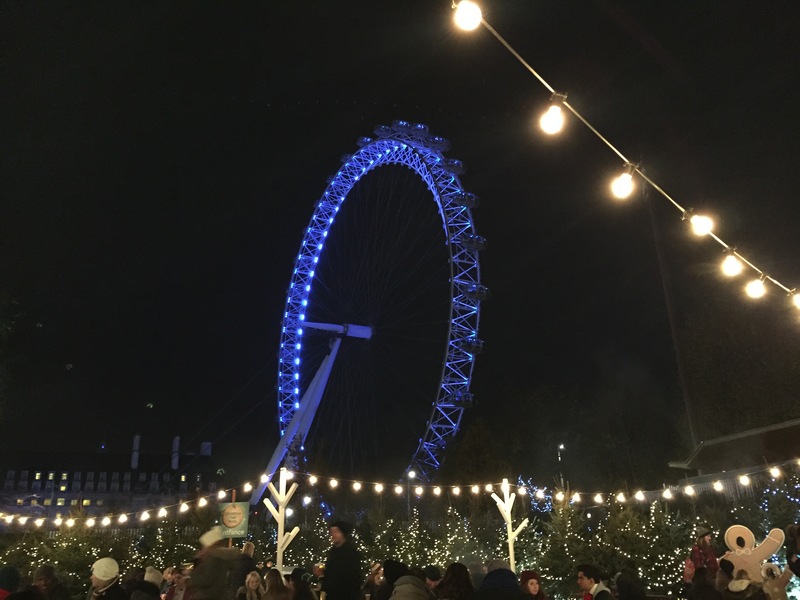 We ventured over the Hungerford Bridge the other night for the Oslo Christmas Tree Lighting Ceremony and were treated to a few carols and a speech by the mayor of Oslo. For the last 63 years, Norway has given a pine tree to England to thank them for the aid they received during the wartime. We were frozen to the bone by the time we were back, but it was fantastic to see the lights be turned on and the carol singing helped with making everyone feel a little more festive. 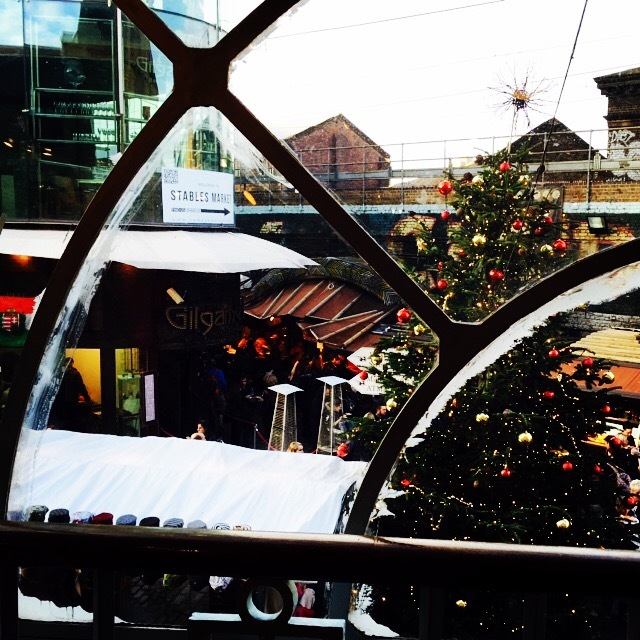 There’s so much to do in London on a regular day, so when it comes to the holidays – it’s kind of insane. Winter Wonderland is this amazing festival located in Hyde Park that is basically a German Christmas market transported to the middle of London. 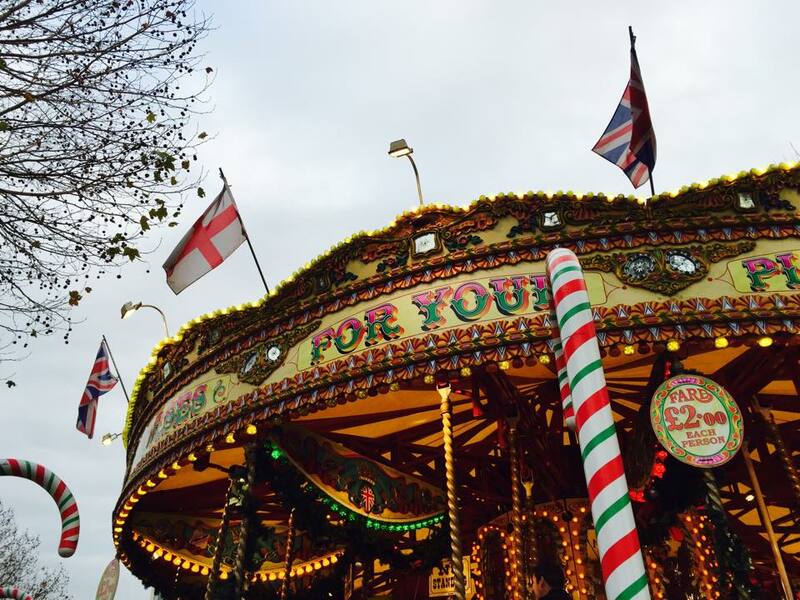 There’s rides of all kinds, booths filled to the top with gifts and too many pots of mulled wine to count. Izzy, Ashton, Rebecca & I found ourselves there on Tuesday night and ended up walking around the entire park before ending the night with some hot chocolate and plenty of souvenirs. 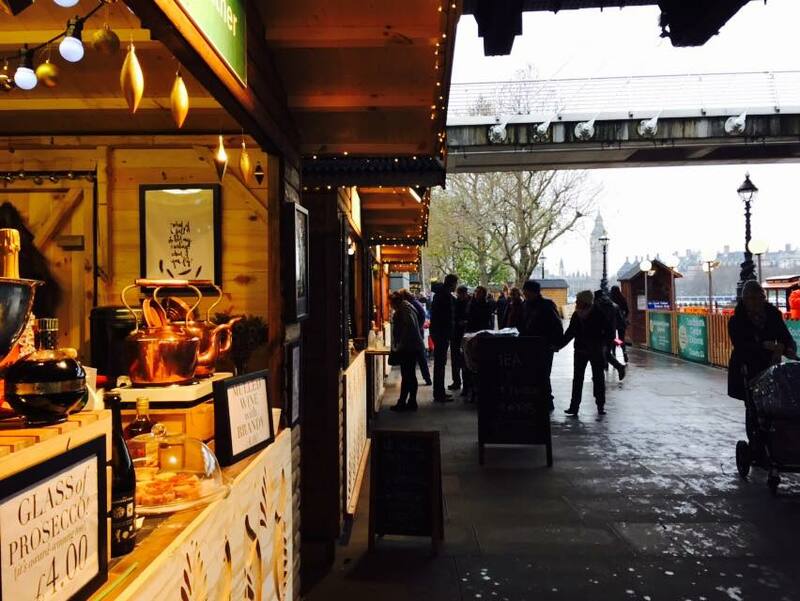 Closer to my flat is the South Bank Christmas market that runs alongside the Thames and has close-up views of Parliament and the London Eye. It’s so strange being able to walk home from campus and casually stop by the Christmas market for a few last minute presents. This particular market is a little bit smaller but still has the tons of booths with gingerbread, fudge, mulled cider and gifts. 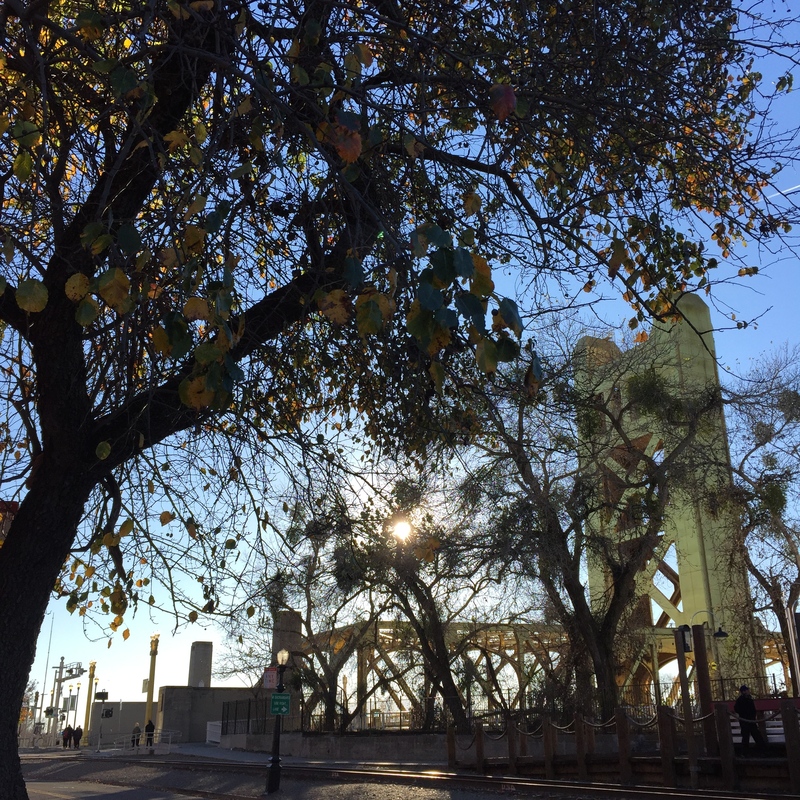 I am just a tiny bit in love with everything in my area – leaving in just a 5 days makes each walk back bittersweet. Bittersweet because I’m excited to get home and see my family and excited for the many trips (and hopefully a more permanent move) back to England, but the idea of not seeing the friends I’ve made here for at least the next 6 months is kind of hard to fathom. 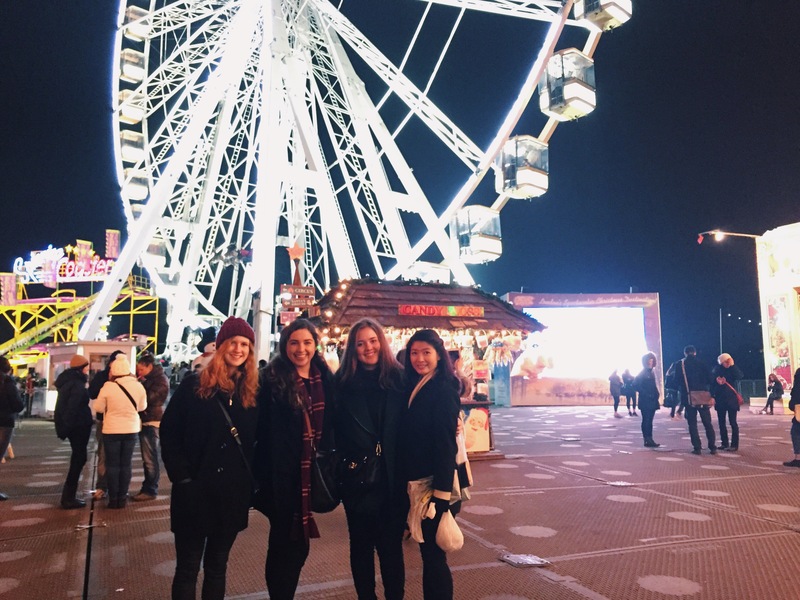 Anyways – back to Christmas markets and the holiday spirit! Really, there’s not much better than seeing the holiday cheer on people’s faces as you walk by… sure, that sounds extremely cheesy, but what can I say – this season is definitely my favorite. I can’t wait to be home and forcing the family to have all the decoration up within an hour of my being home (you better expect it, Mom & Dad) and the sheer thought of making dozens and dozens of Christmas cookies and haystacks makes me jump in my seat. To be honest, I’m actually wrapped up in my duvet with the heating on because London has decided to freeze everything in its path. 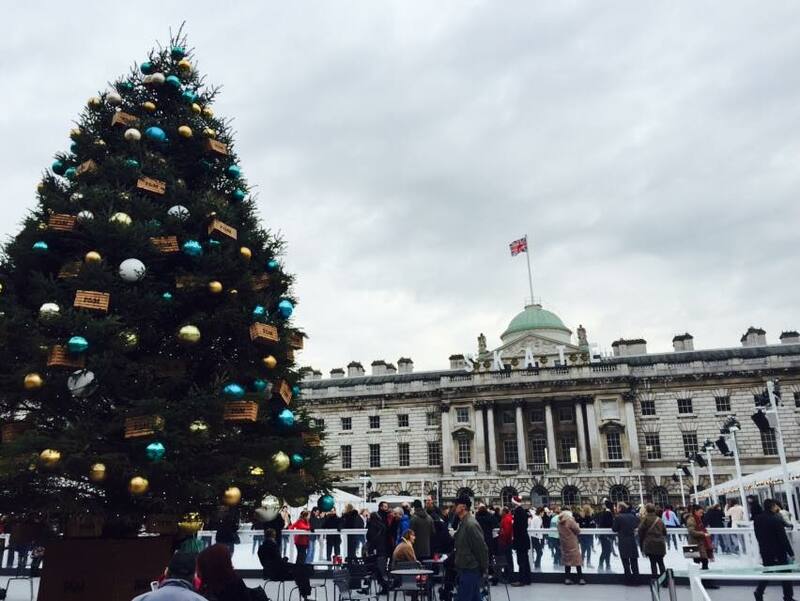 There’s several reasons why I love being a student at Kings College and currently, the ability to go ice skating at Somerset House during class breaks sits right on top. Like, how cool is that?! Ice skating at a famous London landmark, right along the Thames all within 30 steps of my campus. I was rather impressed with my ability to stay skating during our time on the rink. Other than the speed demon who completely ran right into me – I had no falls, woohoo! I definitely don’t go ice skating often, so this was certainly a treat. London has done its job and has made me feel comfortable with living 5000 miles away from family, but California is calling and in just 5 short days, I’ll be flying back. There will certainly be teary goodbyes and many days in the future of looking back at these amazing experiences I’ve had – but for the rest of my time here, I’ll take advantage of this wonderful city and all it has to offer. I certainly hope that one day, I’ll get to call London a part-time home, because this city has taken a part of my heart and I’m really excited for the adventures back!